We partner with several leading photographic specialist from around the world, bringing our client's only the best when it comes to cherishing memories for many years to come. Our featured products page displays only a selected range of the most popular products, but love to work on finding the perfect solution for any space. We guarantee that you will receive superior quality and lasting products for generations to cherish. Celebrate the chapters in life that mean the most to you with exquisite and unique Albums. Everyone has their own story to tell, and each album is customized to tell yours. A full-page Album spreads are printed on professional paper and mounted to substantial card-stock for thick pages that lay flat. Our Albums provide a durable and stylish keepsake that will stand the test of time and keep your special memories vivid. The Image Block has a similar look to a Gallery Canvas Wrap in that the image or design is wrapped around a 1" thick wood block, but is created with a Lustre or Metallic photo print. A photo print is laminated and wrapped around a 1" or 2" thick block. Sizes range from 4x5" to 24x36". From there, the size, paper, and decorative design are completely up to your creative eye. We give a personal online gallery to all clients where you can download and order products directly from the gallery. This means that your family, friends and coworkers can all check out your event and order prints as well. All events are active for three weeks and weddings are active for three months, or contracted otherwise. Sometimes we just need a little more time to show everyone. 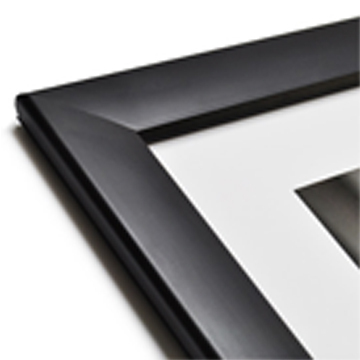 We take a pretty conservative approach to framing photography. It’s about letting the artwork come through and do the talking.” What’s more important is the quality of the materials used and the subtle ways to make the photograph stand out, like matting. We closely work with our clients and get to know the space in which they like to hang their artwork. Contact us to discuss what you are looking for and we would be happy to help. An engraved USB Drive with all of your images in a personalized USB Case complete with an engraved USB Drive. Personally designed photographic print wrapped around hardboard and finished with a metallic laminate. USB Cases are square sized with the ability to hold 1 or 2 USB Drives. Our USB Case includes a magnetic closure to keep your case closed. A wedding video is a keepsake you will cherish forever. Our event videos are designed for a great marketing tool for your business to use throughout their social media platforms. Let us capture all the magic of your wedding day or event in a creative way that you will love watching again and again. For more information check out our Wedding Videography and Event Videography pages. A metal guest book mat that permanently etches signatures onto a sturdy, high quality alloy surface with diamond tip pen. A great alternative to traditional paper guest books and something you can proudly display as a keepsake from your wedding day or special occasion.